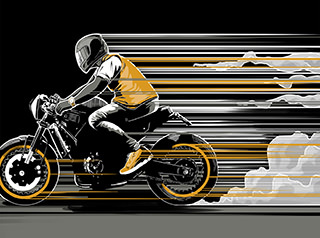 READERS EXCLUSIVE: sign up today and use promo code Plat10 to get 10% oFF YOUR FIrst WATCH! If you’re on the fence about giving this box club a chance, you’ll want to know what happened to me. I’ve always been a pretty big watch fan. I’m not saying you’re going to see me on Antiques Roadshow, but I like having a decent enough collection to mix it up depending on the occasion or the suit. I’ve never really been comfortable purchasing a watch online. Let alone being open to someone selecting a watch for me. The one time I tried a box club, it was for a cheese-of-the-month and it was a huge disaster. And then I heard that this club called Watch Gang gives away a free Rolex every Friday. And a free Tag Heuer every Tuesday. Not to mention the tiered membership levels they offer that guarantee you a new watch every month costing literally a fraction of what they’re worth. Frankly, a free Rolex was more than enough to make me curious. If you’re skeptical about giving something like Watch Gang a try, look...I totally get it. 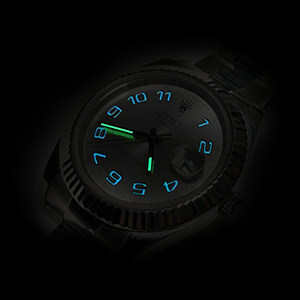 Join the world's #1 Watch Club by Friday for a chance to win a Rolex! Join Watch Gang by Friday for a chance to win a Rolex! Here’s everything I learned that you need to know about the mystery watch club, from the obvious to the downright shocking. 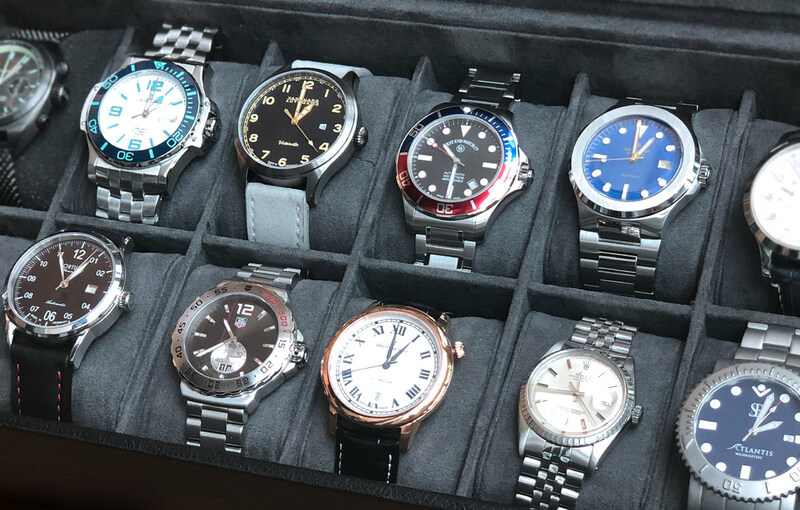 To put it simply, Watch Gang sends a new watch to your door that you get to keep... Plus as a member you get access to some pretty impressive deals on a wide variety of timepieces. For a watch enthusiast like me, Watch Gang offers two different subscription tiers (Black & Platinum) that come with automatic movements like Swiss ETAs, Selltas, and Japanese workhorses like the Miyota. After setting your style profile and your shipment frequency, Watch Gang will go to work matching you with one of its partners for the month. Like all mystery box clubs, you find out what you're getting when you open the package. 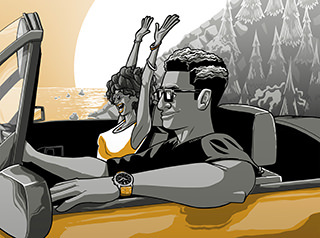 Watch Gang partners with a new watch maker every month and sends you a high quality watch guaranteed to be worth more than your membership fee. So regardless of your membership tier, you’ll be getting a watch worth 2-5x more than what you’re paying for it. 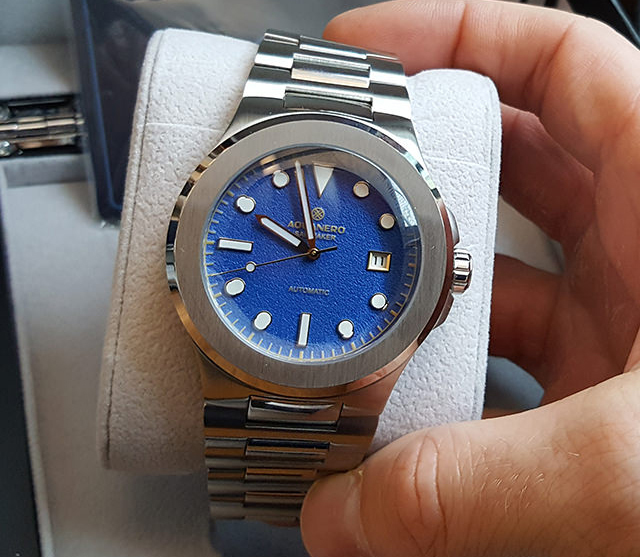 For instance, if you subscribe to the Platinum Tier membership for $299/month, you can expect to get watches that usually sell for up to $1500. It’s a mystery watch club so there’s an outside chance you’ll get a watch that isn’t quite your thing. If that happens, you can just head over to their very active Facebook group where you can easily trade or sell your watch with fellow members. Big profiles in Esquire, Forbes, and Men’s Health (among others) means that Watch Gang isn’t a hidden little gem anymore. 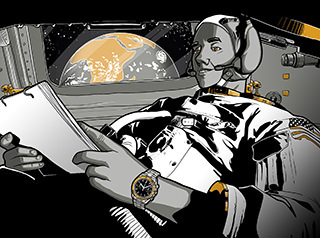 All over the world, people keep sharing pictures of their new watches in action. Jamie Foxx was even seen talking up Watch Gang. I Gave It A Shot And The Results Were... Unexpected. When I signed up in June, I was already on the verge of spending a good chunk of money on a new automatic, so I thought I'd give their Platinum membership ($299/month) a try. My thinking was: Since Platinum is exclusively automatic movements, even if I wasn't impressed with the first month's watch, I could just call it a low-risk experiment and move on with my life. 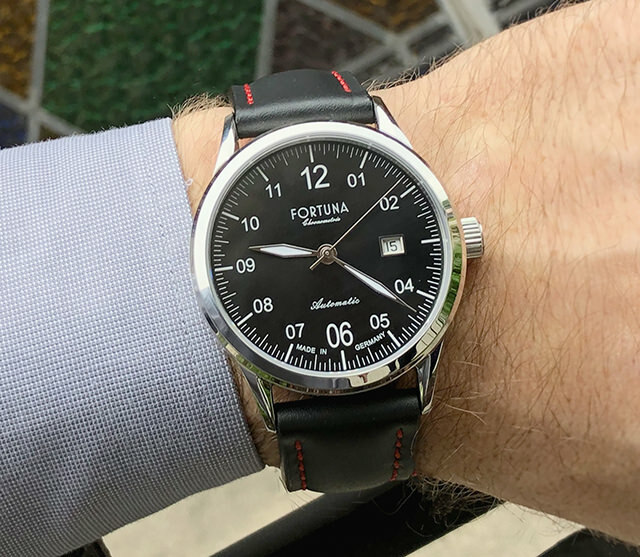 First up was a Fortuna Senator Automatic Black retailing at $975 (3.2x membership value), so I was already pretty stoked about the quality they seem to be working with. I wasn’t sure how much I’d be wearing this one since I have another retro-ish piece I really like, but honestly it’s turned into one of my favorites that’s flexible enough for a lot of different looks. Really strong showing right out of the gate. 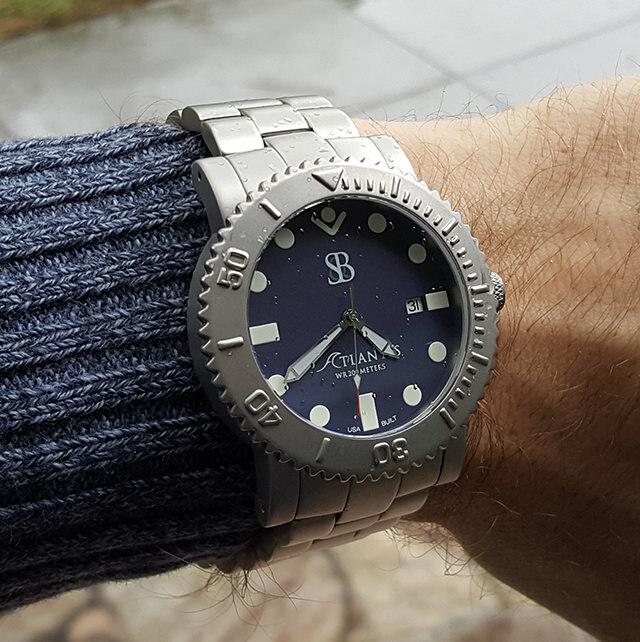 The second watch I received was a Smith & Bradley Atlantis, which retails for $795 (2.6x membership value). I’m a pretty big fan in general of Swiss automatics, and the Atlantis sat right in that wheelhouse. I was really impressed with the first two months’ quality and selection, so I decided to stay on for at least another and see what they sent next ...Holy sh#t, I’m glad I did. 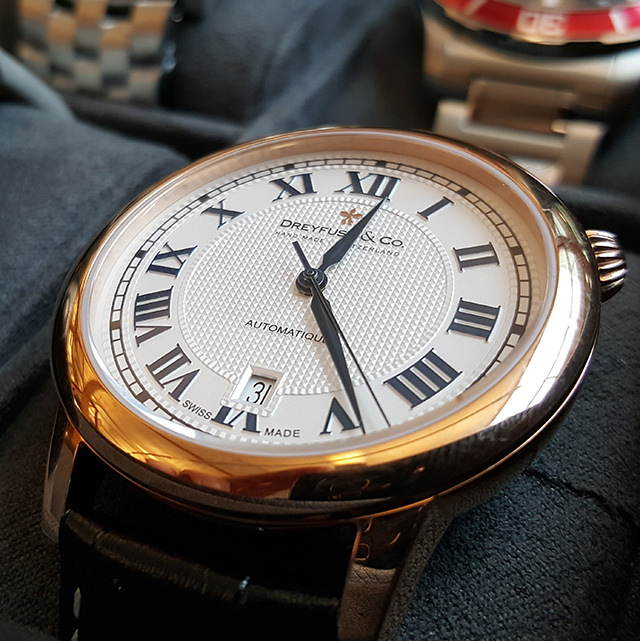 MONTHS 3 | Dreyfuss & Co.
My older brother has had a beautiful Swiss Dreyfuss for years. I know because it used to be mine until I made a truly terrible (and intoxicated) Super Bowl bet with him. Guess what showed up at my door in August? Sweet revenge in the form of a Dreyfuss 1925 Automatic, which retails at $1,195 (3.7x membership value). The first couple months made me a Watch Gang fan, but this total surprise is when I truly felt like a Watch Gang member. 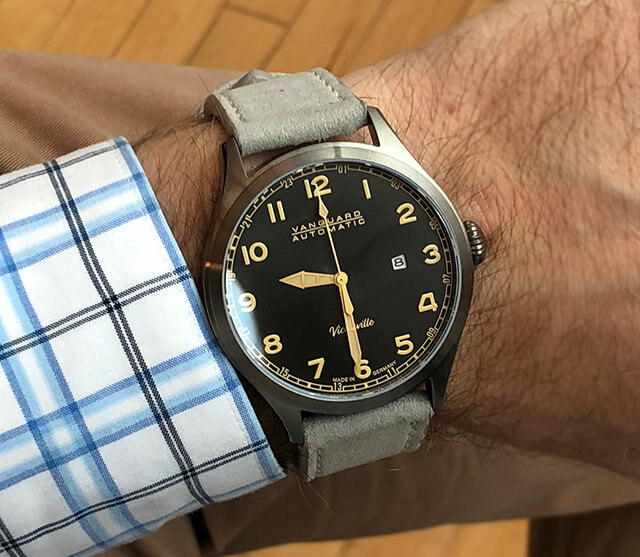 Still riding that Dreyfuss high, September brought another crazy-impressive selection, this time in the form of a stainless steel Jerome Lemars Auto Dive Watch. See, I was aware of Jerome Lemars, I knew they were good watches, but I never really craved one. Of course now that I have one, I can’t imagine not having it in my rotation. Go figure. That was honestly the most surprising part of my personal Watch Gang experiment: even though I had no idea what was coming next, I kept having my expectations blown away. As an added bonus, my knowledge and taste in watches kept expanding, too. October brought a Vanguard Victorville Dusk, which has a retail value of more than 2.4x the membership cost. I think it was the classic dark look of it, but something about it really felt different (in a good way) from the previous four. I think I may just be a sucker for anything German built. Like the Fortuna in the first month, this is another one I find using as a sort of utility player when I’m in a bind. Great pick to kick off the incoming colder months. November’s pick blew me away again, Another Swiss classic this time in the form of a West End Impermeable. As if they knew I was considering only doing a 6-month membership, Watch Gang goes and sends me another Hall of Famer. 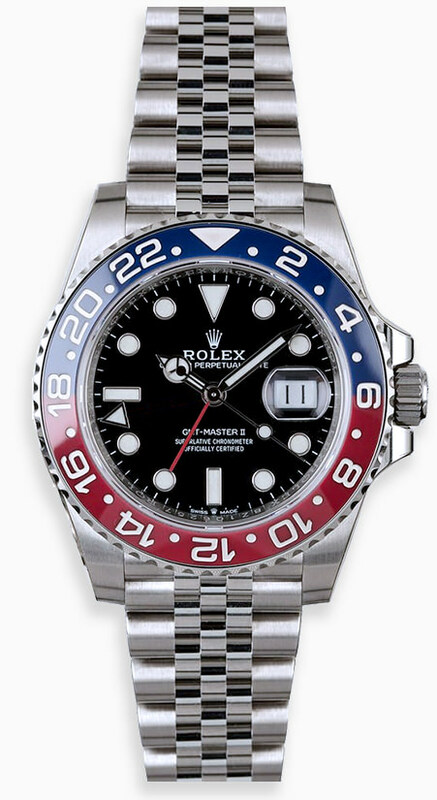 The band is double-clasped steel, and the ½ red-½ blue coloring makes it pop perfectly. Combined with the fact that it’s water-resistant and has such smooth movement, it’s super easy to see how West End was essentially the Rolex before Rolex. Lawrence of Arabia wore one for God’s sake. And now so does this watch lover. Not that there was much doubt at this point, but December’s watch sealed the deal for me as far as membership value goes. The Aquanero Sailmaker they sent me retails at $795 (a 2.6x membership value) and was the perfect cap to a good year. 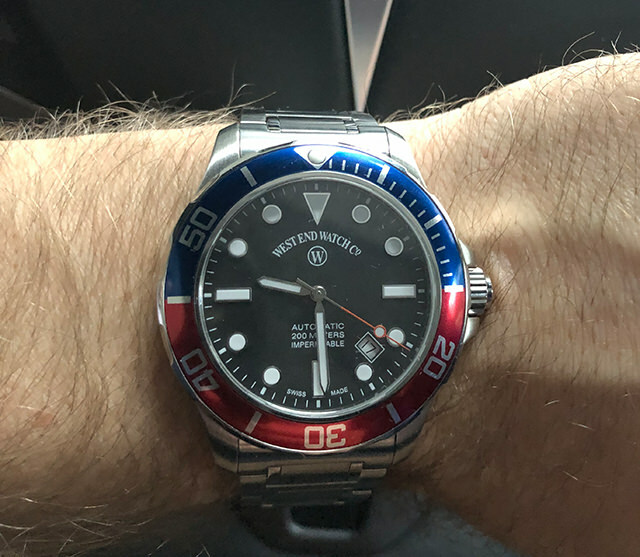 Its reputation as a classic sailing watch even made me double down on my resolution to spend more time on a boat in 2019. Is A Watch Gang Membership Really Worth It? 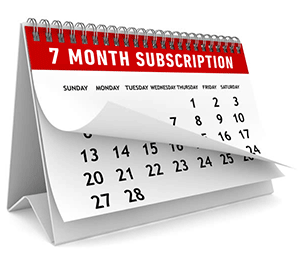 I was convinced after the 1st month, but the 3rd month’s Dreyfuss surprise really sealed the deal for me. Best of all, the monthly habit has amped up my watch interest into something of a passion. Even when one month’s delivery was running slightly late, I got in touch with Member Support who were able to look into it and give me a quick ETA with no problem. Ultimately, Watch Gang is just too good to pass up. But why take my word for it? Give it a shot and use code PLAT10 for 10% OFF a Platinum membership. 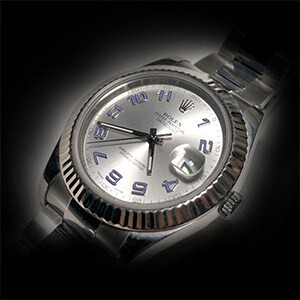 And remember, as long as you’re a member, you’re eligible for the weekly Rolex, Tag, and Seiko giveaways. IMPORTANT: You must sign up today and use promo code PLAT10 to get 10% OFF your first watch! Get Your First Watch Now! 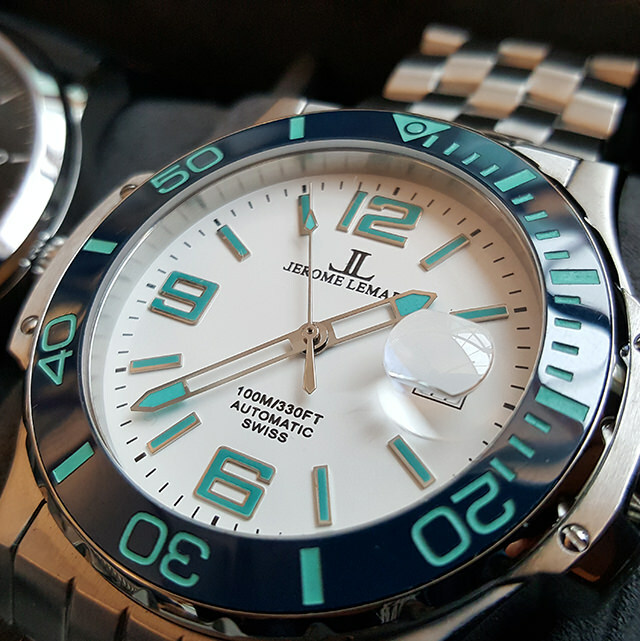 Sign up with us and get 10% off your first watch! Use the promo code PLAT10 on the checkout page. Watch Gang Black Tier & Original Tier Unboxing March/April 2018 - Worth It?